Subaru Impreza Sports Cat Downpipe. 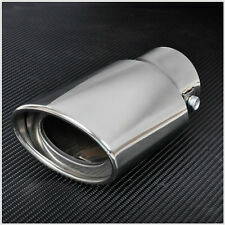 Stainless steel, Ppp downpipe quality item. Have this exhaust backbox for sale. In great condition, No obvious scratches or dents. Louder than standard but not enough to upset the neighbours. Part Number MSSUB102 and has 100mm Meteor Tail pipe. 2.5" Pipework. Subaru Impreza Wrx Straight through Pipe. Came off of a 2006 wrx 2.5 turbo. Subaru impreza classic 3" decat exhaust.. 3" bellmouth downpipe,centre section and back box. Full system. Could break down into separate sections if needed.. this will open your turbo up for more bhp, local collection or will get a price for courier. No reserve happy bidding. 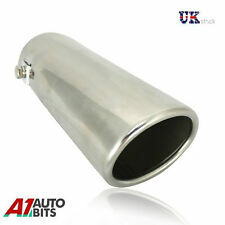 Stainless Steel T-304 Exhaust Cat Delete Downpipe. 1994-2000 Subaru Impreza WRX STi 2.0 turbo 4WD 211HP /2.0 turbo GT 4WD 218HP. 3" pipe which reduces on the ends to a 2.5" flange for standard spec fitting. SUBARU IMPREZA 1993-2005 1.6 1.8 2.0 GL GX NON TURBO MODEL. Exhaust Manifold. Mandrel Bent T-304 Stainless Steel. Oil Coolers & Hoses (42). Air Induction Kits (272). Three Gaskets are included. Gain more performance due to more air flow. Fits Subaru Impreza Classic GC8 all turbo models (1993-2001) and Impreza New Age WRX & STi models (2001-2005). Subaru Impreza Turbo De-Cat Up-Pipe. Basically all Impreza turbos until the twin scroll was introduced. Subaru Impreza stainless steel decat . Condition is Used. Dispatched with Other Courier (3 to 5 days). Subaru genuine WRX STI Type R Turbo Back Exhaust System Including Catalytic convertersCondition is Used. Subaru Forester Sf Decat Exhaust Pipe. Condition is Used. Section from turbo to centre pipe only, came off a 1999 Forester stb. There is some rust but it’s kind of expected due to where it lives when on the car but to be fair it’s in good condition. was on the car when I brought it so not sure how long it’s been on the car. It’s 3” pipe straight through, no tapered end. Bought as seen. Novel pin badge the little man in his Subaru Impreza. He's the little fellow who used to advertise Robertson's jam. Recently removed from a 2002 Subaru Impreza STI (bugeye). 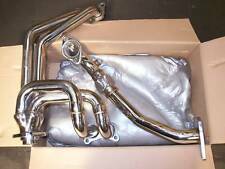 02 SUBARU IMPREZA full de-cat stainless steel exhaust from manifold back. Fabrikat Ray system part No. DPOSA-48 (Jetex). This is still an unequal length manifold so you will keep the unique sound of that boxer flat four. The manifold has the ports for the lambda and temp sensors. It not essential but you can heat wrap the manifold for further performance gains. Subaru Impreza WRX STi Classic Turbo 2002-2006 and 2001 Bugeye. Stainless Steel T-304 Exhaust Cat Back System. Mandrel bent T-304 stainless steel. This exhaust system is 3" (76mm) all the way through. Here we have an STI S203 S204 angled stainless steel backbox exhaust. Stainless steel rear exhaust section in very good condition. Removed from the car because I've upgraded the whole system. Collection only from Cradley Heath due to weight and size. Can be used to delete the cat in a Forester on the up pipe. Bought for my Subaru Forester SG5 2004 2.0 XT - EJ20 engine - but never fitted. It's in good condition. 92-2001 Impreza decat down pipe 3 inch to 2.5 flange In good condition. Only just removed from car for as different system fitted now. Backbox came off of a 2004 Subaru Impreza WRX, would fit 2001-2007 Impreza (Bug, Blob, Hawk) WRX and STI. 2.5" to a 3.5" tip. Needs original screws drilling out, will consider a lower offer. Collection only from Wigan. 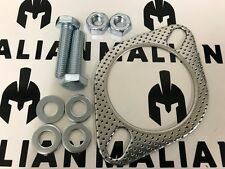 The gasket is made from a high quality exhaust gasket material and it features a fire ring which makes the gasket last much longer than gaskets without. 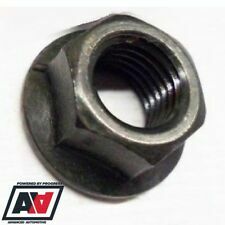 The bolts, nuts and washers are 8.8 grade steel with a zinc coating. 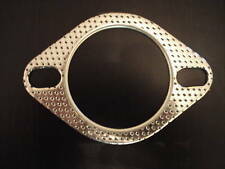 Subaru Impreza WRX STi 3" (76mm) 2 Bolt High Performance Exhaust Gasket 3 inch. For sale here is a polished steel custom back box for all Subaru sports cars. this back box will clamp on or weld on to your standard exhaust pipework or can be fitted to larger cat back pipework. looking at the bore size it will give a great rumble sound. Subaru Impreza classic shape Toyo sport full exhaust system 3" Turbo back Angled Condition is Used some scrapes. Down pipe is damaged and leaking could do with welding as pictured. Picture is actual items for sale. Grab a bargain. Please check my other listings for more subaru parts. Made From Two Perforated Stainless Steel Sheets Sandwiching A Middle High Temp/Pressure Carbon Layer For Those Seeking A Strong And Tight Seal. 108mm - Distance Between Bolt Hole Centres. Subaru Impreza WRX STi Classic Turbo 2002-2006 and 2001 Bugeye. Stainless Steel Exhaust System. This exhaust system is 3" (76mm) all the way through. Mandrel bent T-304 stainless steel. straight-through design enabled to inprove horsepower, torque and overall performance. 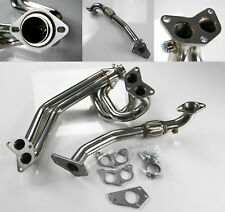 Stainless Steel T-304 Exhaust Manifold For TOYOTA GT86. Improve Exhaust Gas Flow and Increase Turbo Spool up and Reduces Turbo Lag. The equal length Manifold is mirror Polished All The Way Through. Mandrel Bent T-304 Stainless Steel.